Jérôme, Commentarius in Abacuc, éd. Sincero Mantelli, Turnhout, 2018. L'opportunità di un nuovo testo critico del Commentario al profeta Abacuc di Girolamo è dettata non solo dal fatto che le antiche edizioni a stampa – ne sono state prodotte almeno cinque – risultano inadeguate rispetto alle esigenze critiche attuali, ma che anche la più recente, pubblicata da Marc Adriaen nel 1969 (CCSL 76A) sulla base della collazione di un solo nuovo manoscritto, non offre un testo sufficientemente sicuro. La recensio dei manoscritti selezionati per il presente volume, pur non avendo consentito la completa ricostruzione della diramazione della tradizione manoscritta, ha tuttavia permesso significativi progressi nella costituzione del testo. Il presente lavoro, poi, così come auspicava Yves-Marie Duval nell'introduzione alla sua edizione dell'In Ionam (SC 323), può diventare un utile tassello per una vera e complessiva edizione critica dei commenti di Girolamo ai dodici profeti minori e per lo studio dell'esegesi geronimiana. Il lavoro di edizione ha permesso, inoltre, di evidenziare con più precisione le fonti che ispirarono il commento scritturistico di Girolamo e di confermare il suo spirito eclettico nel riprendere i commentatori che lo avevano preceduto, in modo particolare Origene. Cécile Conduché (éd. ), Grammatici Hibernici Carolini aevi V. Liber de verbo, Turnhout, 2018. Ce volume fournit la première édition imprimée d’un traité sur le verbe latin composé probablement au cours du VIIIe siècle. Ce texte, d’auteur anonyme, nous est connu par un unique manuscrit originaire de la France du nord, Paris, BnF latin 7491. Ce traité complète notre connaissance d’un groupe de grammaires latines (Ars ambrosiana, Anonymus ad Cuimnanum, Malsachanus) liées aux milieux lettrés irlandais à l’orée de la renaissance carolingienne. L’édition de ce traité est essentielle pour comprendre l’organisation et le fonctionnement de la constellation d’opuscules scolaires qui a constitué le support concret de la renouatio studiorum carolingienne. Anthony Arthur Long (éd. ), Epictetus. How to Be Free An Ancient Guide to the Stoic Life, Princeton, 2018. Epictetus. Encheiridion and Selections from Discourses. Translated and with an introduction by A. A. Long. Born a slave, the Roman Stoic philosopher Epictetus (c. 55–135 AD) taught that mental freedom is supreme, since it can liberate one anywhere, even in a prison. In How to Be Free, A. A. Long—one of the world's leading authorities on Stoicism and a pioneer in its remarkable contemporary revival—provides a superb new edition of Epictetus's celebrated guide to the Stoic philosophy of life (the Encheiridion) along with a selection of related reflections in his Discourses. Freedom, for Epictetus, is not a human right or a political prerogative but a psychological and ethical achievement, a gift that we alone can bestow on ourselves. We can all be free, but only if we learn to assign paramount value to what we can control (our motivations and reactions), treat what we cannot control with equanimity, and view our circumstances as opportunities to do well and be well, no matter what happens to us through misfortune or the actions of other people. 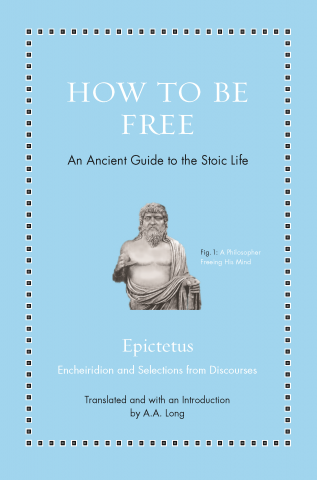 How to Be Free features splendid new translations and the original Greek on facing pages, a compelling introduction that sets Epictetus in context and describes the importance of Stoic freedom today, and an invaluable glossary of key words and concepts. The result is an unmatched introduction to this powerful method of managing emotions and handling life's situations, from the most ordinary to the most demanding. Isabella Tardin Cardoso et Marcos Martinho (éd. ), Cícero: obra e recepção, Coimbra, 2019. O livro reúne sete ensaios acerca de Cícero compostos por uma equipa internacional de especialistas neste Autor. Os ensaios distribuem-se entre duas seções: na primeira, estudos de obras de Cícero (os diálogos: Lucullus, De finibus, De oratore, De officiis); na segunda, estudos da recepção antiga e também tardia de Cícero (em Sêneca, em Petrarca, em Erasmo). Caroline Bishop, Cicero, Greek Learning, and the Making of a Roman Classic, Oxford, 2019. The Roman statesman, orator, and author Marcus Tullius Cicero is the embodiment of a classic: his works have been read continuously from antiquity to the present, his style is considered the model for classical Latin, and his influence on Western ideas about the value of humanistic pursuits is both deep and profound. However, despite the significance of subsequent reception in ensuring his canonical status, Cicero, Greek Learning, and the Making of a Roman Classic demonstrates that no one is more responsible for Cicero's transformation into a classic than Cicero himself, and that in his literary works he laid the groundwork for the ways in which he is still remembered today. 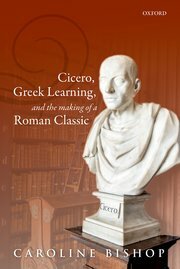 The volume presents a new way of understanding Cicero's career as an author by situating his textual production within the context of the growth of Greek classicism: the movement had begun to flourish shortly before his lifetime and he clearly grasped its benefits both for himself and for Roman literature more broadly. By strategically adapting classic texts from the Greek world, and incorporating into his adaptations the interpretations of the Hellenistic philosophers, poets, rhetoricians, and scientists who had helped enshrine those works as classics, he could envision and create texts with classical authority for a parallel Roman canon. Philip Freeman (éd. ), Cicero. 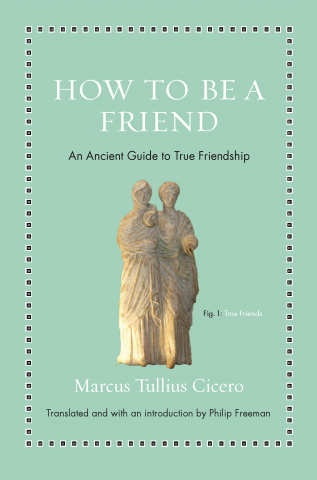 How to Be a Friend An Ancient Guide to True Friendship, Princeton, 2018. A splendid new translation of one of the greatest books on friendship ever written. Filled with timeless advice and insights, Cicero's heartfelt and moving classic—written in 44 BC and originally titled De Amicitia—has inspired readers for more than two thousand years, from St. Augustine and Dante to Thomas Jefferson and John Adams. Presented here in a lively new translation with the original Latin on facing pages and an inviting introduction, How to Be a Friend explores how to choose the right friends, how to avoid the pitfalls of friendship, and how to live with friends in good times and bad. Cicero also praises what he sees as the deepest kind of friendship—one in which two people find in each other “another self” or a kindred soul. James S. Romm (éd. ), How to Die An Ancient Guide to the End of Life, Princeton, 2018. 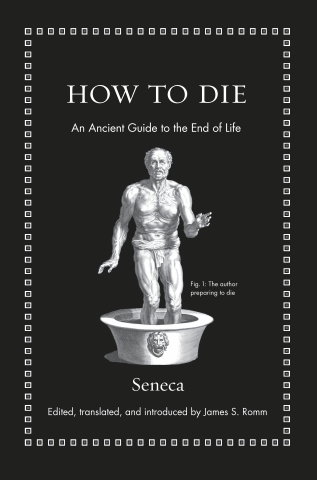 Timeless wisdom on death and dying from the celebrated Stoic philosopher Seneca.